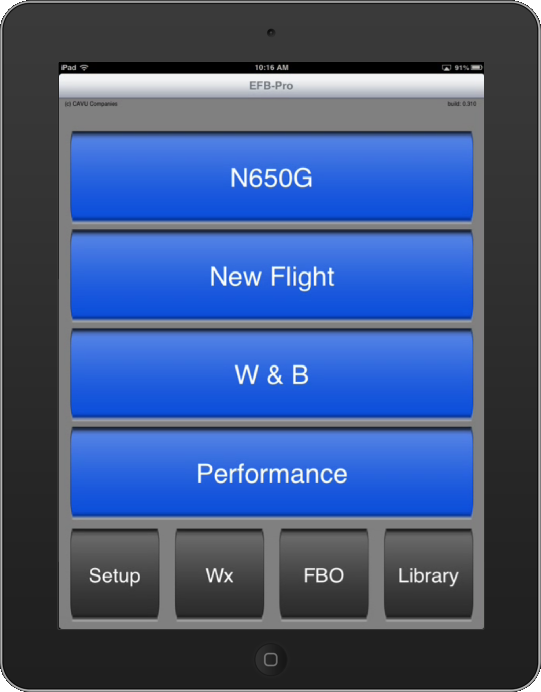 EFB-Pro is a self-contained Runway Analysis calculator, which does not require an internet connection to perform critical takeoff and landing calculations. Whether you are in the middle-of-nowhere or at FL310, EFB-Pro is ready to calculate all the "numbers" directly from the AFM. 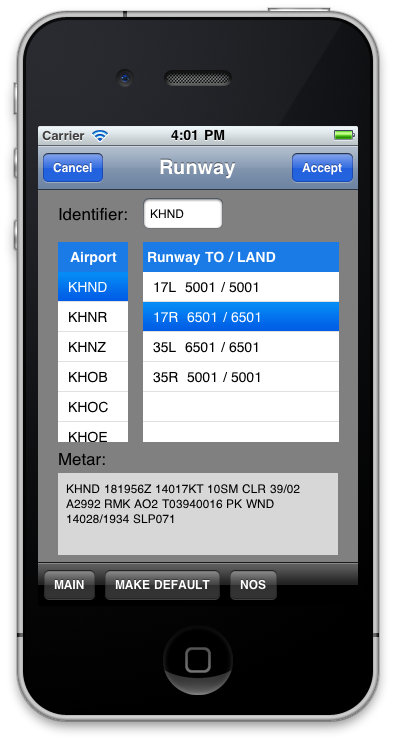 An international runway database is contained within the application, which allows the user to simply select the airport and runway desired. If internet connectivity is available, real time weather automatically integrates into the calculation. 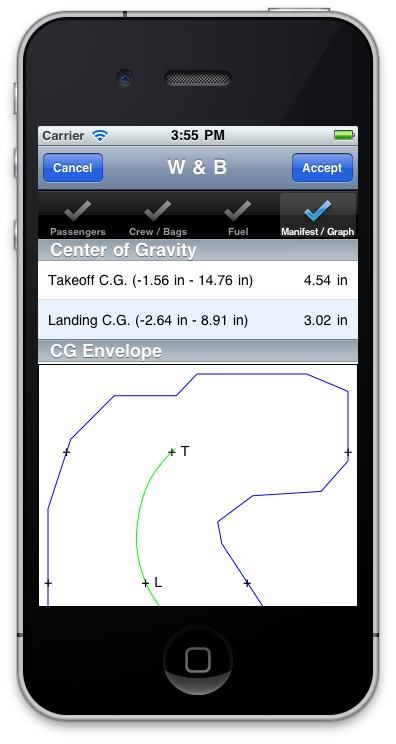 The Net Takeoff Flight Path profile is used to calculate obstacle clearance weight restrictions. 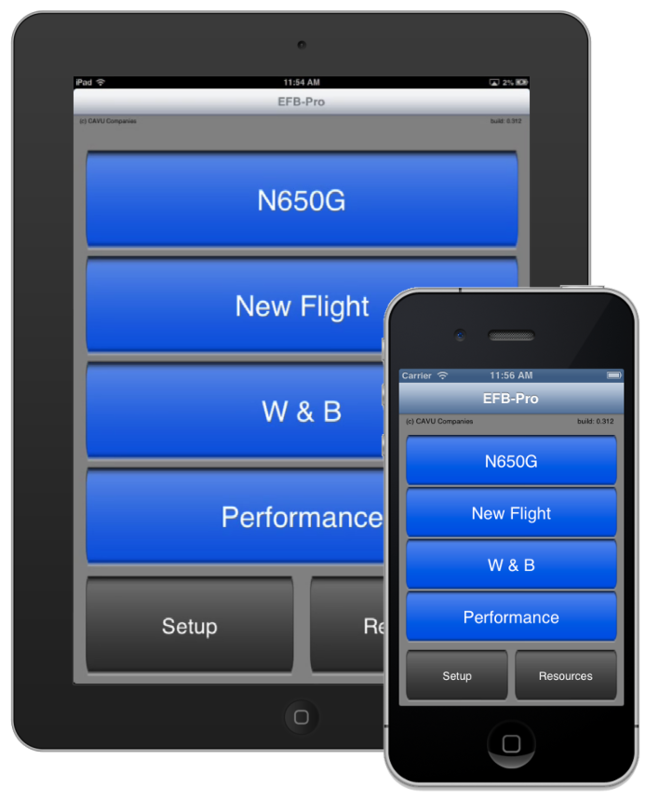 EFB-Pro meets all FAA, EASA and JAR requirements for aircraft performance and weight & balance. Most aircraft come with wet and contaminated runway data when available. 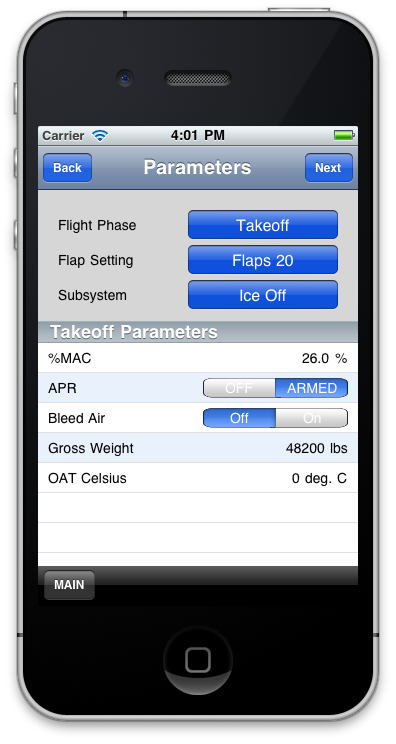 EFB-Pro provides analysis for most turbine aircraft. 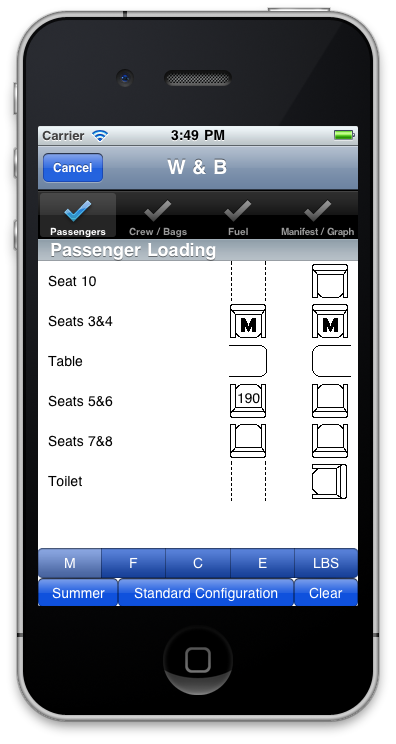 Current aircraft type availability can be found on the CAVU website (App URL below). Aircraft not currently available can be added by contacting CAVU. 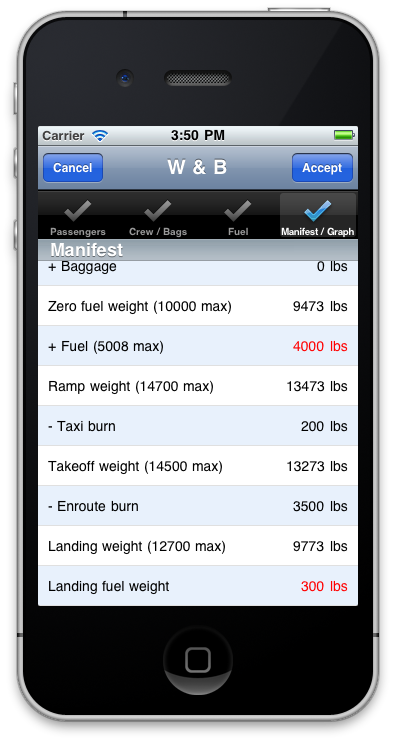 Multiple aircraft can be stored and retrieved on the device by simply selecting the tail number from a list. The application also serves as a resource library manager for user specified documents, such as MELs and op manuals. Included are current FARs, Advisory Circulars, AIM, National Airspace Status report and icing level forecasts. Current metars and TAFs can be viewed by route or state. 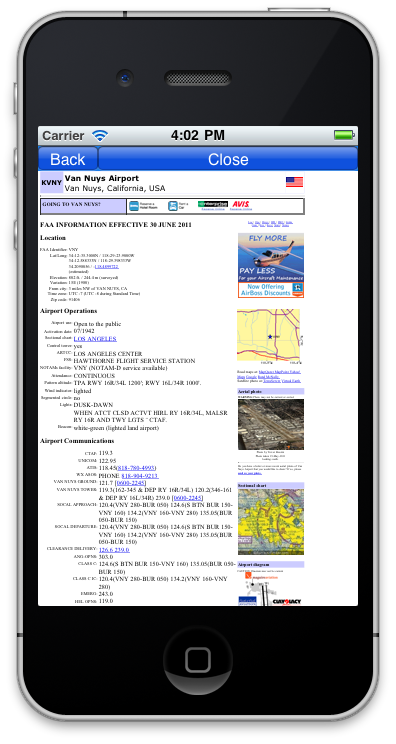 Airport information is searchable by identifier and displays notams, fuel availability, FBO services (and their location on the field) and a list of nearby airports with instrument procedures. 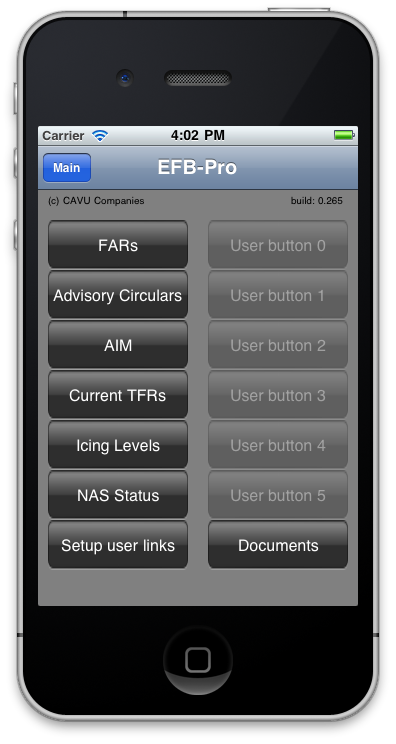 Use of this application requires a current subscription with CAVU Companies. AFM data is kept up to date on the CAVU website and downloaded automatically. 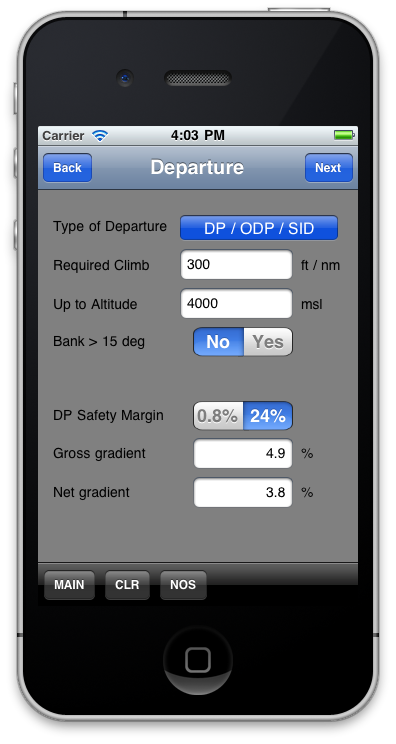 See the video above for a more indepth view of climb gradients, aircraft performance as it relates to runway analysis.